This small California native lupine species, is as many of its family members, an annual. This little blue beauty is widely distributed throughout northwestern America, and has more than a healthy population growing wildly all over California. 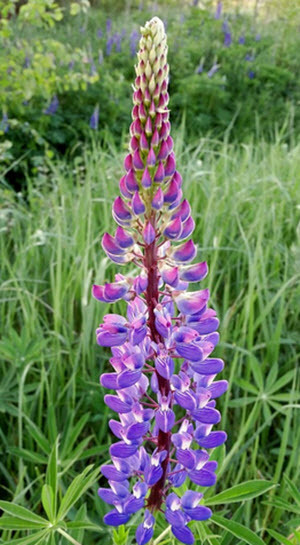 The Lupinus bicolor can also be found in various gardens where it is popularly used as an ornamental plant. It is known under many common names, such as “miniature lupine”, “pigmy-leaved lupine” and “Lindley’s annual lupine”. The Lupinus bicolor is a small hairy herbaceous annual plant, which grows in small groups, often around other meadow flowers. its leaves consist of 5 to 7 individual leaflets of 1 to 4 centimeters in length which sits on a 5 to 7 centimeters long petiole, often the leaflets will be sitting opposite and linear of each other. The leaves have a greyish green color. Its flowers sits at the ends of the inflorescences that the plants send up in groups of 5 to 10, and those inflorescences grows to 8 centimeters in height. As the name insinuates the flowers are usually colored with two different colors, one being a deep blue and the other varies between white, magenta and light purple. The petals can appear spotted. The plant produces a small hairy pod which contains a few very small peas. 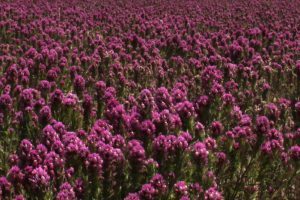 This precious little flowers is highly adaptable and can tolerant many different soil types, but the common denominator for the soils are that they are well drained and have the ability to shed moisture quickly. It needs a lot of full exposure sun and thrive in open terrain in communities of other wild flowers. The Bicolor is what you call a pioneer plant, which means it is often one of the first things to grow in destroyed habitat, such as woodlands after a forest fire or in arid environments with young and rocky substrate. 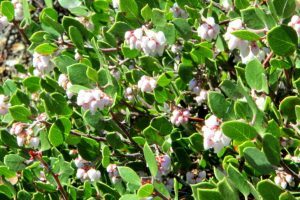 These things combined means that if you want to go look for the bicolor you should look on coastal strands, mixed evergreen forests and northern coastal sage scrubs. 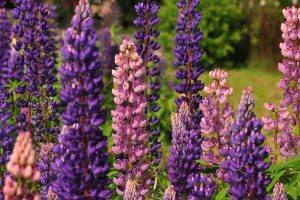 The deep blue color that the Lupinus bicolor can bring to a garden is one thing, and also the reason it is widely cultivated as an ornamental plant. As a Californian you also know to plant plants resistant to dry weather, which is another area in which the bicolor succeeds. The beautiful flowers attract pollinators, in the form of honey bees, to your garden, which greatly helps your garden overall. Besides all these upsides to planting bicolor, it also fixates nitrogen in the soil with small nodules on the roots in which a special type of soil bacteria lives.